recommended for: Fans of Fate of Flames by Sarah Raughley, Labyrinth Lost by Zoraida Cordova, and other fantasies pitting badass girls against evil beasties. This is Tea's story. When she discovers her gift with necromancy, she is taken from her small village home to a scared city where powerful asha (magic users) train new girls in the arts of magic, politics, dancing, and flattery. The culture and exploration of the asha and their magic was one of my favorite parts of The Bone Witch. Asha function in some ways like geisha; they are high status, elevated, sought after companions for a tea room or fancy party. They study the arts and put on shows of dancing and singing. They also battle powerful demon monsters that rise from their tombs every few years to slaughter hundreds. I was fascinated by the dual roles of the asha. Tea becomes mired in not only magic, but also the political and social machinations of asha life. The characters are relatively strong. Each of them has their own story and motivations, their own striking personalities. Tea is stubborn and soft. The asha who heads the teahouse is a snappish Lady Tremaine (that's Cinderella's stepmother, by the by). Tea's mentor is sweet and elusive. Her (un)dead brother has a rakish charm. I only wish we got more of the prince and the memory keeper, two boys who play a large role in Tea's future but are given a cursory treatment here. There's also a central mystery. The book starts after the end, with a flashback of a dark, sinister woman living isolated on a rock by the sea. The grave of someone important to her and the bones of demons sit outside her hovel. Through the whole book, the narration flips between Tea's magical adventure and the mysterious dark lady, stringing you along and teasing you with connections between the two times. Who is the dead boy? Why is the lady exiled here? Who is the stranger who comes to visit her? I was frustrated that the story hadn't caught up to itself by the end, but I was also thoroughly invested in the mystery page by page. On one hand, the time jumps make the pace somewhat sluggish. On the other hand, they certainly keep you guessing. I think the book's main downside is its ambition. Chupeco's world is vast in its scope. She's invented new countries and cultures, a new system of magic, a secret danger of Fallen witches who are never satisfactorily explored. Plus a slew of characters with their own subplots. It's a lot to get done in one book, and I think some of the exploration of asha life chokes out a lot of the action--then it races ahead a bit recklessly towards the end. I'd have liked to see this book focus more on Tea's asha training, leaving the Fallen and the Big Overarching Plot to be revealed more baldly in a second and third book. Having read Chupeco's earlier horror, however, I was pleased to see how her writing had grown since The Girl From the Well. 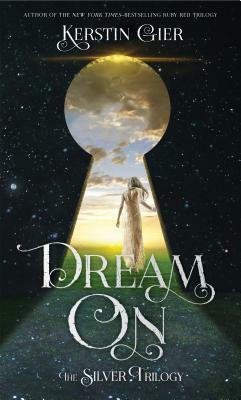 Her style has evolved into something picturesque and vivid, something that enraptures and enchants the reader. Her descriptions of clothes and jewels were so vibrant, her sense of place so sharp, that I could see Tea's world in my mind's eye. Some of the dialogue could use some polishing and the pacing could be tightened, but this writer can set a striking scene, that's for sure. Even though The Bone Witch was somewhat languid and could have used a few round on the chopping block, I enjoyed it. Chupeco's writing has a way of catching you up in its magic. Reading this book was more of a quiet enjoyment than a feverish intensity. I hope that Chupeco will continue to grow and tighten up her craft by the sequel, because I'm excited to find out more of Tea's story--and the truth behind the grave by the sea. 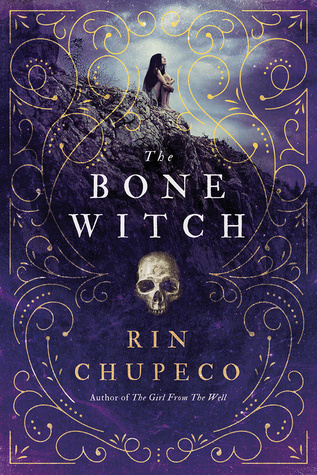 The Bone Witch is an ambitious, otherworldly fantasy that staggers in its pacing, but introduces a fascinating new magical world. will i continue the series? I wouldn't trade my soul for it, but I definitely want to read more.